Not sure you want to stay in business with your partner much longer? Your worst enemy? Waiting. 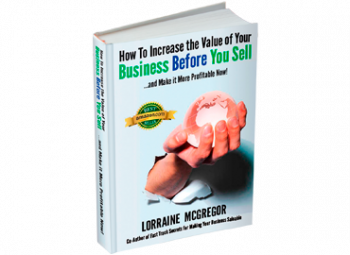 This is the fastest way to blow up your business and lose all the value you’ve sweated bullets to build together. I’m not kidding. Angry and hurt people rarely make careful and rational decisions. Your fight or flight brain is in charge at this point, not your wise self. Did you know that in a business partnership you are ten times more likely to succeed than sole proprietors? How come? Partners egg each other to change. They provide feedback and a sounding board for each other. They point out lessons learned and stop each other from making rash decisions. Partners give a business a better foundation because they bring complementary strengths. But I hear you. You could be at the end of your rope. But that doesn’t mean you are at the end of your business partnership. Want to know if this partnership can be saved? Watch this video to answer the critical 10 questions to find out. This post will help you understand why partnerships slide into a quicksand of resentment and wealth-wilting inaction. Let’s start with the warning signs. See how many of these you check off that are derailing the best of your intentions, and bleeding profits. 1. OWNERSHIP MEETINGS You don’t have partnership meetings. If you have one at all the agenda is a hodge podge of problems, grievances, shareholder issues, employee problems and performance. 2. BUSINESS MEETINGS You wear the wrong hat at these meetings. Meaning you wear your personal shareholder hat when talking about functional role issues. So what you need, what your partner needs and what the business needs and what your area of responsibility needs are totally confused. 3. ACCOUNTABILITY & AUTHORITY You don’t have functional job descriptions. You assign each other projects, to do lists, complete with silent expectations followed by loud assumptions and blame. Partners are not held accountable like employees are. It is unclear who reports to whom, who has authority and who has responsibility. So no one leads, or the wrong (expertise, strengths) person leads and misses the expected result. 4. SHARED VISION You don’t have strategic goals and growth plan you are both thrilled by. So you’ve lost your reason why to get out of bed and face all the hassles you each deal with. Its a daily grind and a burden to come to work. 5. WHO IS THE LEADER One of you is louder and gets their way more often. Decision making is a tug of war until one person gives up. You don’t talk about the real issues. You argue about who is right. All the employees notice. It’s a stressful workplace as a result. 6. RESENTMENT One of you is burned out because you or your partner do not express their concerns… and the other doesn’t really listen. Neither partner feels heard, or respected. 7. RISK AHEAD You never talked about your tolerance for risk and how to make decisions in a way that respects both your tolerances. 8. FINANCIAL ACUMEN One of you understands the books and the other doesn’t. 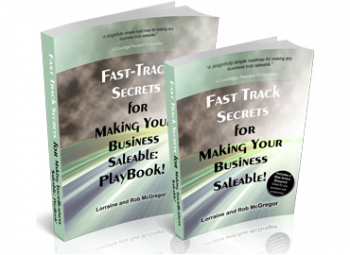 You might embarrassed because you don’t know how the business makes money or loses money. Or you don’t get the kind of just in time reporting to prevent problems so you are always facing a stressful cash crisis. supposed to contribute to the direction of the company. But you don’t have those kind of blue sky discussions because you can’t really talk civilly any more to each other. So there is little chance your role and day will change any time soon. Are these issues fixable? Absolutely. Do you want to invest effort in fixing them? That’s why you need to watch this video so you can make an informed choice. Ok, how many of these signs do you see in your business partnership? Less than five. Guess what? If you want your business to give you a return on life, on your investment of time and provide a nest egg for your family, you had better attend to the issues on this list. Watch the video to uncover what should be on your list. You’ll be able to answer the 10 powerful questions that show you what’s underlying the friction and get a handle on your own ‘risk tolerance’ and how that plays a massive role in what’s standing in the way of your success together. how you do this or you could end up in a more miserable place than you are in now. Take the first step in understanding your options. The questions in this partnership quiz during the video will help you discover what’s really causing the pain so you can decide to fix it or split up carefully. b) Learn how to get back in the saddle by resolving each of these 9 wrecking balls so you can both find the passion that brought you together in the first place and work toward getting that return on your investment so you have a nest egg to count on. 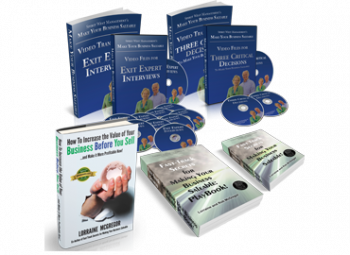 Watch a case study here so that you know what other business owners have done to pick the right direction for them. out the door, slamming it behind you without first having come to an agreement to dissolve or rebuild the partnership. Getting a partnership specialist on board to help you work out this agreement in a respectful and compassionate manner helps both parties agree to get it done. You can book a 30 minute session with our specialist here to see if there is a fit. If you wait, you will both destroy the business and the value you have created together. My bet is you don’t really want to be that mad. And don’t wait and let health problems take you out of the game so you don’t have any choices left either. I’ve seen guys (and gals do this). They go on disability for stress and never return. That erodes away everything: business, nest egg, health, relationships and life purpose. You may need some help knowing what to do next. Should you stay or should you go. Get access to this quiz as shown in this video, and it will show you whether this partnership is worth saving or not.